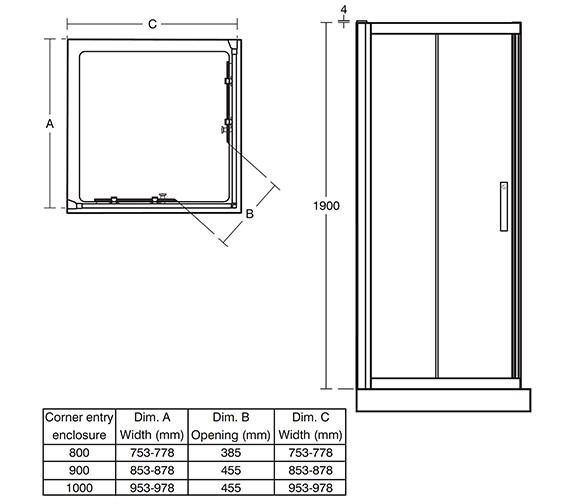 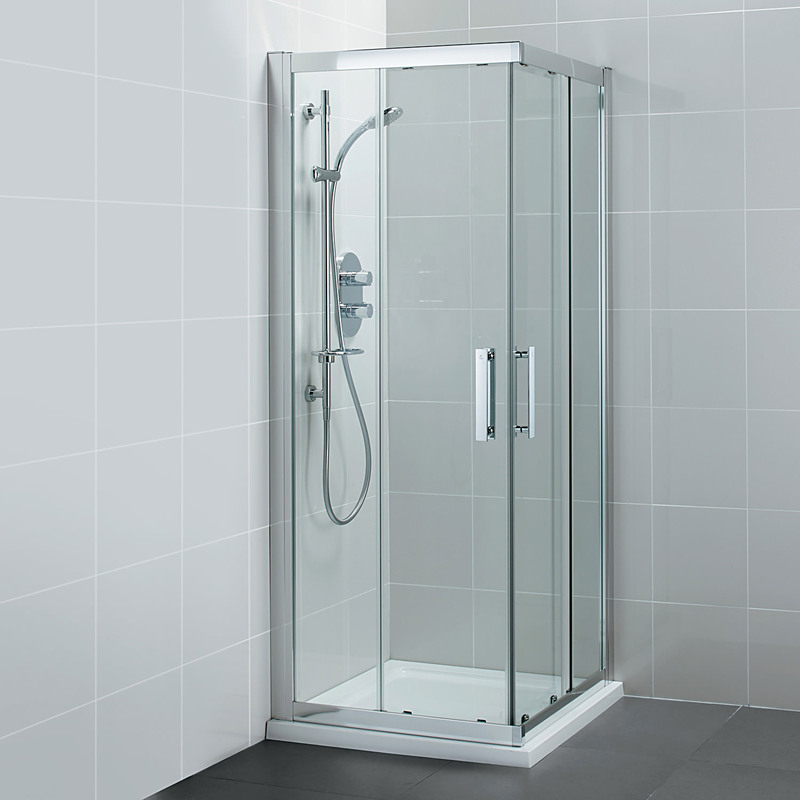 A creation of absolute beauty, the Synergy Corner Entry Enclosure from Ideal Standard can transform any bath area into an elite space with its fine glass walls and silver-finish frame. 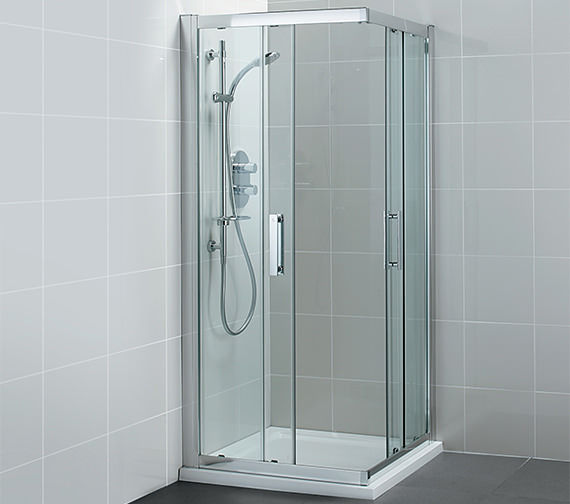 The smooth-running sliding door comes with stylish handles and Click and Clean lower wheels and panels for easy cleaning. 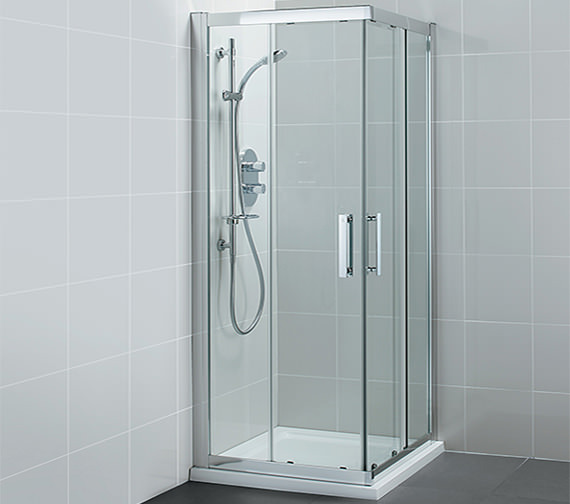 Made of 8mm toughened glass, it is power shower-proof and carries a 10-year guarantee against manufacturing defects, if any. 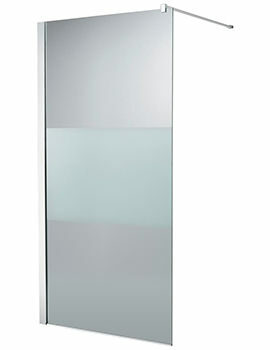 The glass comes with Ideal Finish coating that reduces the effort of cleaning and keeps it stain-free. 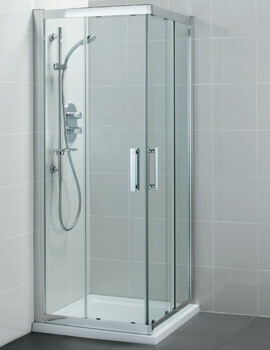 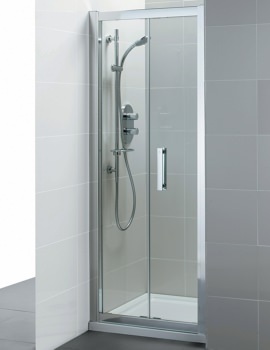 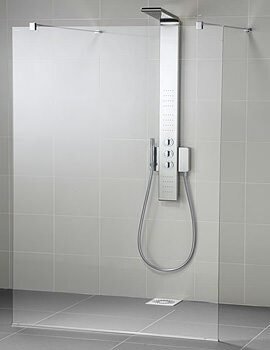 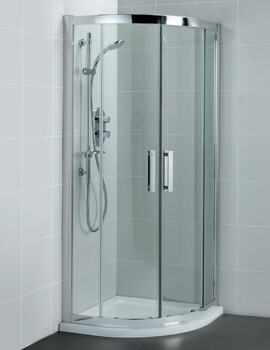 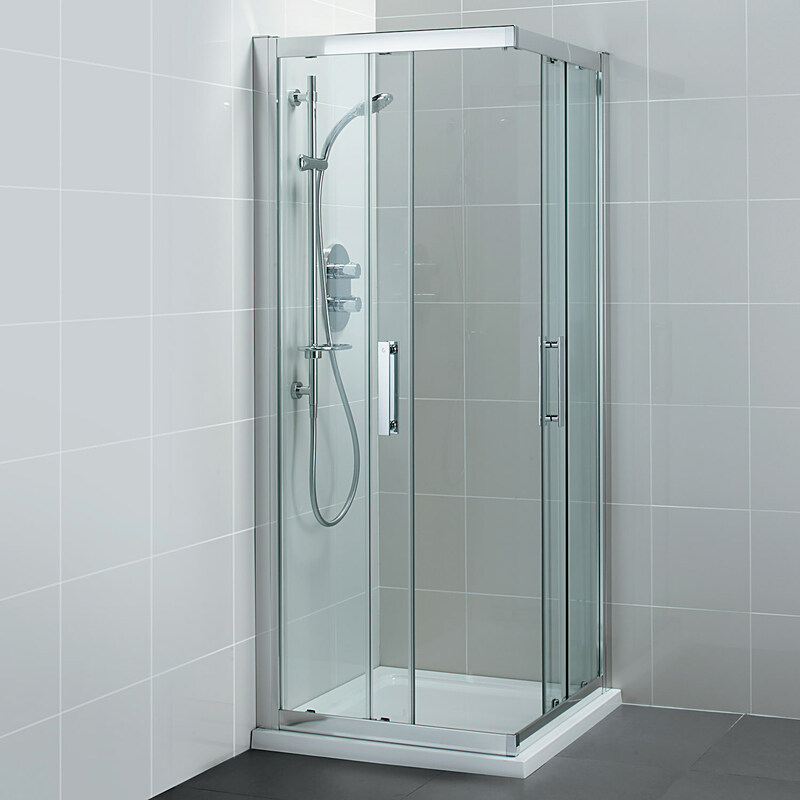 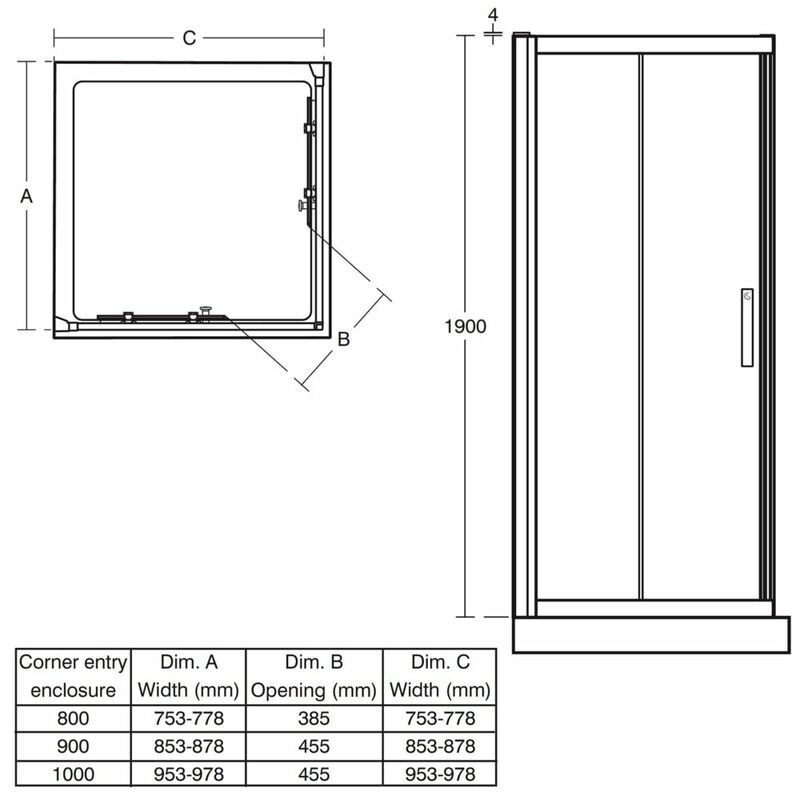 Value-adding options such as a matching shower-tray and shower waste are available separately.